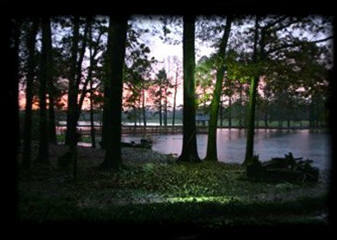 Our home and farm are located on 115 acres in the beautiful woodlands of Southern Arkansas. We operate a very "hands on" farm. 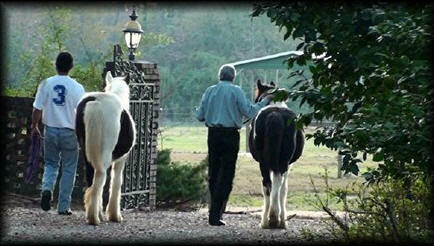 Our horses are accustomed to being handled from the moment they are born. In addition to taking care of all their physical needs, we love and handle them on a daily basis. We work with our foals from the day they are born and we are proud to be raising beautiful horses with trusting and eager-to-please attitudes. 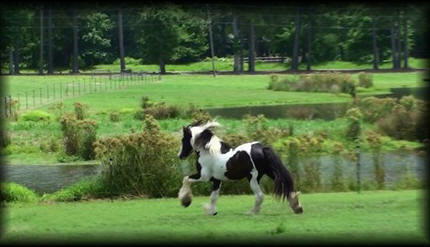 All of our horses were carefully selected for beauty and disposition. 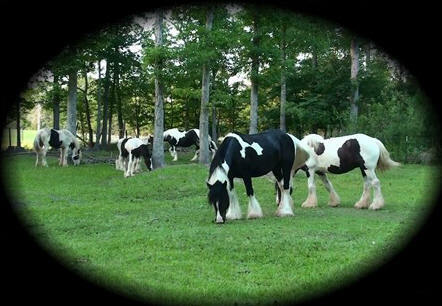 Our Gypsy Vanner bloodlines include the Rose line, Sid’s Good Stallion, Legend Boy, Gypsy King. Lacho Drom and Lion King. For the past nineteen years we have been operating our "Live Barn Cam" during foaling season. We have enjoyed sharing the miracle of birth with so many people. Our outside farm cams are on all year. We will send emails to those on the list when a mare is nearing her due date or when we feel that foaling is very near.